The past few weeks have been so exciting (and exhausting). 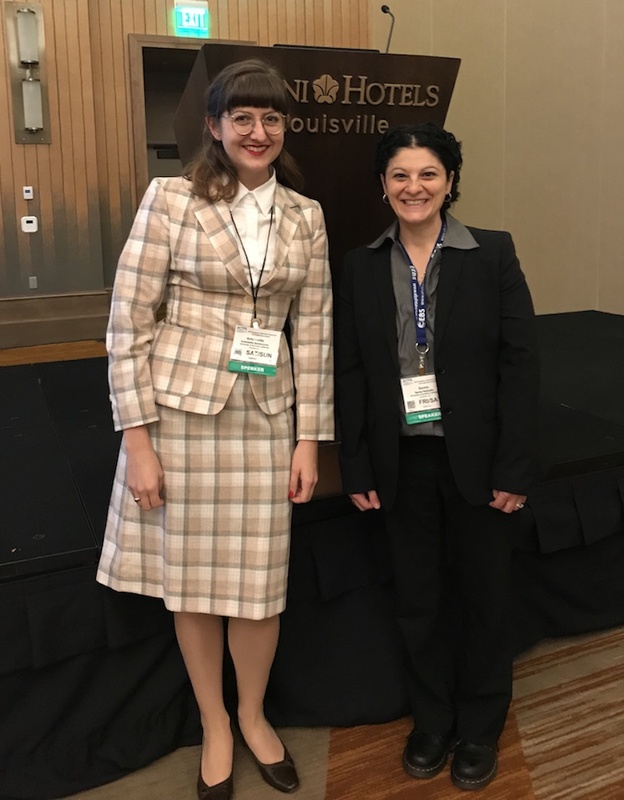 I presented at two conferences; the first was AOTA’s Education Summit it Louisville, KY and the second, closer to home, was the OTAC’s annual conference in Pasadena. It was an amazing experience and I wanted to share a little bit about it! In the second year of the Master’s program, I elected to do Directed Research (OT590) with Dr. Rafeedie, completing 2 units in the Fall and 2 units in the Spring. As I’ve mentioned before, I’m interested in education so I created this experience to do some research about pedagogy and best practices when it comes to simulation. My inspiration for this topic stemmed from being frustrated in some of my courses when asked to role play with my peers. I was quite uncomfortable role playing and I was not convinced it added my clinical skills as a future occupational therapist. From this seed of frustration grew the foundation of our presentations: a low to high fidelity chart for the different types of simulations, an evidence matrix outlining the support for simulation in education, recommendations from the literature about best practice surrounding this instructional method, and finally a piece that I was not expecting at all when I started out. This unexpected piece was the most interesting of them all… looking at simulation from the disability perspective. Upon reflection, this perspective is the root of why I was uncomfortable with simulation in class. Although the goal was to learn, it felt a little bit like a mockery when I pretended to have a prescribed difference. It took looking at this in class requirement from an outside, academic point of view, and discussing it with my mentor to be able to identify the source of this discomfort and start to think critically yet constructively about it. We went to the disability literature and discovered that since the 1990s it has contained a call to stop disability simulation. It cites research which has shown that disability simulation has many unintended consequences. So, we looked further, read more research, and started to build an idea of what types of simulation add to positive educational outcomes and how we can use simulation respectfully and ethically. The bottom line is, we need to be coupling simulation with lived experiences perspectives. As OTs, we valued the phenomenological components of care and recovery that simulation does not provide. These nuances, which simulation simply cannot capture, are what sets us apart from other healthcare professionals. We must be mindful about explicitly including the disability perspective in our curriculum and learning activities. It was exhilarating to share what we found and developed at the two conferences. Our audiences were very active participants with many questions and different points of view to share. This has been an amazing way to end this project (for now) and it was only possible because of Dr. Rafeedie and USC, so Fight On! I decided to pursue the OTD at USC because I love our profession and I want to give back to it. I see the OTD as a way to grow and blossom as a leader. It is a guided experience to gain clinical expertise, discuss current issues in occupational therapy on both a micro and macro level, and develop professional skills. I know the area of practice that I am interested in and the bigger picture problems I want to fully grasp and then help crack open. The OTD process will help me accomplish these goals. After completing the coursework for a sensory integration certificate during my Masters, I realized that I wanted mentorship from leaders in SI as I take these concepts from the classroom into practice. This lead me to do half of my residency at Therapy West. I think I could build these clinical skills as an entry level practitioner; the OTD is both a tool and an experience that will let me go a step further. I want to take SI out of the clinical gym into a community based setting. I am developing such a program as the second half of my residency, at The Children’s Ranch, where additionally we incorporate animals into our sessions. I want as much support as possible as I try develop this unique area of clinical practice, which I get from both preceptors at my residency sites and my faculty mentor at USC. Finally, I’m doing the OTD because I am interested in being a professor of Occupational Therapy. I am building my skills at collecting and collating information as well as presenting it. I’m excited about this upcoming year and look forward to sharing my experience with you. Fight On!